Is your flea market listed? Is your information outdated? Would you like to place, edit or remove your ad? If you've answered yes to any of those questions then register for an account, it's free to Place an Ad for your flea market. Flea Market. Route 17. West of Corning. Ample parking. Antiques, collectibles, pottery, jewelry, glassware, memorabilia, silver, vintage clothing. Also a variety of the new and not so new typical flea market fare. Food available, restrooms. Newstead Auction and Flea Market. 13311 Main Road. Ample parking. Antiques, collectibles, furniture, glassware, kitchen collectibles, silver, vintage clothing, used merchandise, housewares, crafts, produce. Approximately 75 dealers. Snack bar, h/a, restrooms. Ameri-Can market. Route 12. Hours: 10am to 6pm. Seasonal market open Memorial Day through Labor Day weekend. Free adm, ample free parking. Indoor/outdoor market with approx 50 dealers. Market is mainly used and garage sale merchandise, bric-a-brac, locally made crafts and some collectibles, gifts and imports. Space from $10. per day. Snackbar, restrooms, h/a. c/p Manager, Box 2169. Liverpool, NY 13088. (315) 482-2016. Flea Market. Route 15. Hours: 6am to 4pm. Free adm. Ample parking. Outdoor market with approx 300 dealers. Average atten 6,000. Antiques, collectibles, furniture, jewelry, vintage clothing, primitives, sports items, crafts. Space from $20. Snack bar, h/a, restrooms. c/p Manager, 1520 Rochester Rd, 14414. (716) 226-8320. Baldwin Antiques Center. 906 Merrick Road. Ample parking. Large selection of American and European furniture, fine and estate jewelry, glassware, primitives, pottery, art, prints, books, silver, advertising items, kitchenware. Food available, h/a, restrooms. Flea Market. Corner of Main Street and Burlington Road. Ample parking. New and used merchandise, large amount of flea market merchandise, crafts, collectibles, produce. Snack bar, restrooms. Indoor Flea Market. Main Street. Ample parking. New merchandise, electronics, sportswear, housewares, jewelry, sports merchandise. Used merchandise, decorator items, books, some antiques, art deco, collectibles. Snack bar, restrooms, h/a. (914) 773-4141. Bouckville Antique Pavilion. Route 20, downtown. Hours 6am-4pm. Ample parking. Approximately 200 dealers. High quality antiques, furniture, silver, quality glassware and collectibles at this market.Country and Victorian era finds, lots of good sports related items at this market. Approximately 35 specialty shops under one roof. Snack bar, restrooms, h/a. Space from $15. Market conducts many special events. Seasonal market open May-October. c/p Steve or Lynda Bono, Rt 1, Box 111, 13310. (315) 893-7483 or 893-7912. Fordham Plaza Flea Market. Fordham Plaza. Next door to Sears and across the stree from the Fordham University Metro North station. Hours: 8am to 4pm. Free adm. Outdoor market with some covered spaces. Approx 25 dealers. St. John's School Flea Market. 3030 Godwin Terrace. Seasonal market, open September through June. (718) 543-3003. Bronx Flea For All. Prowl through the aisles of this market and find new and used merchandise of all kinds, for work, home and play. A good mixture of housewares, clothing, imports, toys, collectibles, memorabilia, crafts, electronics. (212) 409-1216. Canarsie Flea Market. New and used merchandise, gifts, clothing, prints, books, imports, some collectibles. Call for information: (718) 649-8855. Indoor Flea Market. 6012 Farragot Road. New and used merchandise, clothing, gifts, electronics, gifts, some collectibles. Market open March-October. (718) 251-5756. Regina Center Flea Market. New and Used desirable merchandise, imports, jewelry, electronics, housewares, clothing including lots of sportswear, bric-a-brac for work, home and play. Market open June-September. (718) 232-4340. GEX Flea Market. 1050 Walden Avenue. New and used merchandise, imports, manufacturers overruns, sportswear, tools, electronics, decorator items, gifts, garage sale bric-a-brac. Super Flea and Farmers Market. Ample parking. 2500 Walden Avenue. New and used merchandise, crafts, collectibles, decorator items, produce, packaged food. Snack bar, restrooms, h/a. (716) 685-2902. Riverside Flea Market. 827 Tonawanda Street. Ample parking. New and used merchandise, garage sale items, decorator items, collectibles, crafts, art, produce. Snack bar, restrooms. c/p Bob Nix. (716) 493-2566. Callicoon Flea Market. Main Street. Route 17B, West of Monticello. Hours 9am-5pm. Ample parking. Antiques, collectibles, nice glassware, archticeural items, new merchandise. This market is located in a very scenic, historic town. Great area to spend a weekend. c/p Carol Kay, Box 278, 12723. (914) 887-5411. Cedar Point Flea Market. Route 12. Ample parking. New and used merchandise, antiques, collectibles, housewares, clothing, jewelry, tools, crafts, produce. Food available, restrooms, h/a. Market open May-September. (315) 658-2538. Pennyless Pat's Flea Market. Route 90. Hours 9am-dark. Ample parking. Outdoor market with approximately 50 dealers. Lots of secondhand, garage sale merchandise, collectibles, new items of all kinds. Snack bar, ample parking. Lots of antique and specialty shops in the local area. Seasonal market open July and August. c/p Pat Deles, (315) 253-9844. Airport Plaza Flea Market. Union Road and Genesee Road. Ample parking. Antiques, collectibles, new & used merchandise, crafts. Food available, h/a, restrooms. Market open April-October. (716) 531-5897. Bryant Farms Antique and Flea Market. Routes 9H and 23. Hours: 8am to 3pm. Free adm & ample free parking. Indoor/outdoor market. Indoors yearround and outdoors weather permitting. Approx 25 dealers. c/p Giulio DeLaurentis, (518) 851-9061 or (212) 851-3817. Milford Flea Market. State Route 28. From Binghamton, I-88 to exit 17 Rt. 28 North. Market is on right just past traffic light in Milford. From the NYS thruway, exit 30, Rt 26 south. market is 12 miles south of Cooperstown. Approx 30 dealers. Averaage daily atten 100-300. Reservations required. Space $80. per month. Inside space only. New and used merchandise, antiques and collectibles. c/p Sally, (607) 286-9839. East Avon Downs Flea Market. Avon Downs. 1520 Route 15. Ample parking. Antiques, collectibles, furniture, jewelry, sports merchandise, clothing, housewares, art, crafts. Restrooms, h/a, lots of walking, restrooms. Camping avail. Seasonal market open May-October. (716) 226-8320. Rowcliffe's Flea Market. 6151 Oak Orchard Road. Approximately 20 dealers. Used merchandise, garage sale junque, collectibles. Inside and outside space available. Space from $10 per day. (716) 757-2791. Tri-County Flea Market. 751 Horseblock Road. Ample parking. New and used merchandise and classic flea market fare: collectibles, housewares, clothing, farm and country items, crafts, imports, t-shirts, gifts, produce. Snack bar, restrooms, h/a. (516) 736-6400. Fancy Flea Market. Indoor market. New merchandise, antiques, crafts and collectibles, garage sale bric-a-brac, tools, household items, and sundries. Antique & Flea Market. 136 - 38th Avenue. Hours Saturday 10am-10pm, Sunday 10am-7pm. Ample parking. Approximately 50 dealers. Good selection of antiques, furniture, collectibles, jewelry, vintage clothing, art, prints, books. Snack bar, restrooms, h/a. Busy Bee Compartment Store. 37-11 Main Street. Hours Wednesday and Thursday 11am-7pm, Friday 11am-8pm, Saturday 10am-7pm, Sunday 11am-6pm. Ample parking. Indoor market with approximately 150 dealers. New merchandise only. All the lines that you would find at a discount store, with even lower prices. Snack bar, restrooms, h/a. Monthly rentals only. c/p Pete Markowski, (718) 961-4111. Flea and Farmers Market. 6 miles South of town. Ample parking. Antiques, collectibles, lots of country collectibles and decorator items. Used merchandise, garage sale junque, crafts, produce. Food available, restrooms, h/a. (518) 642-0715. Hudson Flea Market. Columbia Street and 7th Street. Ample parking. Approximately 20 vendors Collectibles, glassware, jewelry, used merchandise. Space from $15. c/p Judy Meyer, 430 Warren St. 12534. (518) 828-8413. Ithaca Farmers Market. Junction of 3rd Street and Route 13 at the steamboat landing. Outdoor market. (607) 273-7109. Kirkland Seneca Antique Galleries Flea Market. Route 5. Antiques, collectibles, furniture, decorator items, art deco, prints, memorabilia, nostalgia items. Snack bar, restrooms, ample parking. 315-2383. Tri-County Flea Market. 3041 Hempstead Turnpike. Hours Thursday-Friday 12am-9pm, Saturday 10am-6pm, Sunday 10am-5pm. 4 story building with approximately 400 dealers. Lots of antiques, collectibles, memorabilia, primitives, advertising items, new merchandise, sportswear, housewares. Special jewelry section with a lot of fine and estate jewelry, over 40 dealers in this section. Snack bar, deli, restrooms. c/p Barbara Eve, 3041 Hempstead Turnpike, 11756. (516) 579-4500. Fax; (516) 579-6715. Yankee Peddler Flea Market. Market is restricted to sale of antiques only. Both casual collector and serious investor will enjoy this market and all it has to offer in books, furniture, glassware, vintage clothing and jewelry, decorator items, dolls, clocks, lamps, china, toys. (516) 271-5817. Middletown Drive In Theater Flea Market. Route 6 and 17. Admission charge. Ample parking. Lots of new merchandise, used merchandise, garage sale items, collectibles, decorator items, crafts, produce. Snack bar, restrooms, h/a. Space from $3. (914) 343-5551. Vendors Outlet & Jewelry Exchange. Orange Plaza Mall. Route 211 East. New indoor market with approx 120 booths. New name brand merchandise severely discounted, fine jewelry. Space from $250 a month or $25. per day. Food court, restrooms, h/a. c/p Bill Sabia, Vendors Outlet, Rt. 211 E. 10940. (914) 344-2000. Rockland Flea Market. Route 59. Ample parking. Approximately 150 dealers. New merchandise, sportswear, housewares, sports merchandise, electronics, decorator items, giftware, jewelry, used merchandise, antiques, art deco to country collectibles, glassware, fine jewelry, prints, crafts, produce. Snack bar, restrooms, h/a. Inside and outside spaces from $5. c/p E & P Promotions, Box 252, 10952. (914) 352-2637. Montco Antique and Craft Flea Market. Route 17. Ample parking. This is a very pleasant market with a good selection of antiques and collectibles and a great assortment of locally made crafts and gift items. Food available, restrooms h/a. c/p Al Bagon. (914) 434-5513. Reservations recommended. Route 17B and Route 17. Hours 9am-6pm. Ample parking. Average attendance 5-15,000 per weekend. Market is for new merchandise only. Lots of upscale name brand items here at drastically discounted prices. Electronics, sportswear, housewares, jewelry, a bargain hunters bonanza. Full service snack bar, restrooms. Approximately 150 spaces. Daily space $15 and up. Tables $5-$7. per day. NYS Sales Tax Certificate needed. c/p Alan Finchley. 42 Ohio Ave. Long Beach, NY 11561. NEW YORK CITY -- Sat. & Sun. Flea Market. 370 Canal Street. New merchandise, imports, name brand clothing, stereo & electronic items, housewares, home furnishings, some used merchandise. (212) 282-9841. Flea Market. 369 Canal Street. New merchandise of every description from housewares to hardware, brand-name fashions and accessories to electronics, plants, paintings, toys, jewelry. Also nearly new and collectible items. (212) 226-0680. The Glass House Bazaar. 43 W. 13th Street. New and used merchandise with a bit of everything for the bargain conscious shopper, from dust mops to name brand jeans, video tapes to socket sets. Eleventh Street Flea Market. First Ave between 11th and 12th streets. Outdoor market with approx 25 dealers. c/p Mary Help of Christians Church, (212) 254-0058. Seasonal market open April through October. Arts & Crafts Flea Market. 42nd Street at 5th Avenue. New merchandise, some used including: imports, gifts, home furnishings, electronics, collectibles. (212) 751-4932. The Garage Flea Market. 112 W. 25th Street. Between Ave of the Americas and Seventh Ave. Hours 8am to 5pm. Free adm and parking is difficult. Indoor market with approx 100 dealers. Antiques, collectibles, crafts, new and used merchandise, vintage clothing. Space from $75. Snack bar, restrooms, h/a. c/p Michael Santulli, Box 7010. (212) 647-0707. Fax (212) 463-7099. SoHo Antiques and Flea Market. 465 Broadway. Hours 9am-5pm. Free adm. Parking not possible. Outdoor market with approximately 75 dealers. Antiques, collectibles, memorabilia, glassware, silver and jewelry, crafts, lots of decorative art and folk art. Snack bar. Very trendy market. Space from $70. Several great restaurants in the neighborhood. c/p Ted Brachfeld, Box 337. Garden City, NY 11530. (212) 682-2000. Fax (516) 742-4424. P. S. #44 Market. Between W. 76th and W. 77th Street's on Columbus Avenue. Hours: 10am to 5pm. Average attendance 12,000. Free adm, difficult parking, indoor/outdoor market. Approximately 200 dealers. Antiques, collectibles, vintage clothing, glassware, jewelry, Art Deco, artwork, prints, crafts, new and used merchandise. Food available, restrooms. Space from $25. Must have city license. c/p Judith Gehrke, 162 W. 72nd St. 10023. (212) 239-3025. The Grand Bazaar. 25th Street between Broadway and Avenue of the Americas. Outdoor market with approx 125 dealers. Great market to shop for interesting and unusual items also close to the large Annex market. c/p Andrew Lackowitz, (914) 273-1578. Elmhurst/Jackson Heights Flea Market. 81-16 - 45th Avenue. Indoor market with approximately 100 dealers. Space from $10. per day. Reservations Required. c/p H. Ingbar. 40-10 Junction Blvd. Corona, NY 11368. (212) 426-9500. Battery Park Flea Market. Battery park on State street, at the waterfront. Outdoor market with approx 25 dealers. Sponsored by the New York City Parks Dept and market focus on multicultural crafts. (212) 809-4900. Spring Street Market. 43 Spring Street. Corner of Wooster & Spring Street's. Free adm. Outdoor market with approx 10-15 dealers. SoHo district. Lots of flea market and garage sale items here. c/p Irwin Yesselman, (718) 273-8702. Tower Records Flea Market. 688 broadway. Next to Tower Records at 4th Street. Outdoor market with approx 50 dealers. c/p Irwin Yesselman, 9718) 273-8702 or (917) 860-1217. Flea Market. Route 328. Ample parking. Approximately 100 dealers. New and used merchandise, garage sale items, antiques, collectibles, furniture, new and antique jewelry, clothing, housewares. Crafts, art. Snack bar, restrooms, h/a. Indoor/outdoor market. (607) 739-2296. Bargaineer Flea Market. 39 Bridge Street. Free adm. Indoor market with approx 10 dealers. Collectibles, antiques and used items. c/p John Silver, (518) 561-3525. Empire State Flea Market. 515 Boston Post Road. I-95, Exit 21. I-287, Exit 12. Friday 5am-9pm. Saturday and Sunday 10am-6pm. Ample parking. Average weekend attendance 500. Approximately 150 exhibitors. New merchandise only. All the lines you would find at a discount store but at substantially lower prices. Lot of upscale and high dollar name brand items here. Great selection of fine jewelry. Snack bars, restrooms, h/a. Monthly rentals only. Indoor market. c/p ANGELA BUCETI, 515 Boston Post Rd. 10573. (914) 939-1800 or (800) 220-7467. Fax: (914) 939-5046. Preston Hollow Antique and Flea Market. Corner of Routes 145 and 81. Hours: 9am to 4pm. Antique mall is open daily. Outdoor market with approx 50 dealers. Free adm & free parking. antiques, collectibles, locally made crafts, new and used merchandise, furniture. Space from $20. per day. Snackbar, restrooms, h/a. c/p Dorothy Como, Rt. 1, box 88. 12469. (518) 239-4251. Hillside Markets Flea Market. Route 3, 1 mile nort of Port Ontario. I-81, Exit 36. Hours: 7am to 4pm. Indoor market with approx 100 dealers. 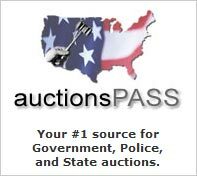 Antiques, collectibles, new and used merchandise, produce. Space from $9. Per day. Overnight camping avail. Café, restrooms, h/a. Market is located next to Lake Ontario in a very scenic area. (315) 298-4085. Barterama Flea Market. Aqueduct Raceway. Hours 7:30am-4pm. Admission charge $2. per car. Ample parking. Popular well attended market. Great selection of new merchandise, electronics, jewelry, housewares, tools, sporting goods, sportswear, produce, antiques, collectibles. Snack bars, restrooms, h/a. Outdoor market. c/p M. Cannana, 257 Hempstead, Elmont, NY 11003. (516) 745-5706 or 775-8774. St. Nicholas of Tolentine Outdoor Flea Market. St. Nicholas of Tolentine Church. 150-75 Goethals Ave. Seasonal market open from March through November. Free adm. Indoor market with approx 75 dealers. (718) 969-3226 or 591-1815. Bingo Hall Flea Market. 117-09 Hillside Ave. Indoor market. c/p David Gross, (718) 847-1418. May thru September (even Holiday's) Rain or Shine. Atlas Flea Market. 5750 Sunrise Highway. 11782. Indoor market, well stocked with wide variety, cosmetics, furniture, jewelry, clothing, electronics. 600 booths. Snack bars, restrooms, h/a, ample parking. c/p Ziggy Attias, (516) 244-5755. Aqueduct Racetrack Flea Market. (Queens) Hours 7:30am-4pm. Ample paved parking. Approximately 2,000+ dealers. One of the area's major markets. Really lots of great "stuff" for bargain hunters. Excellent market for commercial vendors. Lots of professional high quality dealer set-ups here. Market is open during the Christmas season. If you're looking for great prices on new merchandise for your own use, this is the place to shop. Market not held during racing season. Space from $35. per day. c/p M. Cannava, 257 Hempstead, Elmont, NY 11003. (516) 775-2100 or 775-8774. Spring Valley Flea Market. 122 E. Central Avenue. I-87, exit 14. Hours Friday 5am-10pm, Saturday 10-9, Sunday 10-7. Ample parking. Indoor market with approximately 500 dealers. New merchandise, everything you would find at Wal-Mart but at substantially lower prices. Great selection of upscale and high dollar name brand items at severely discounted prices. Space from $105. per week. Snack bar, restrooms, h/a. c/p Al Bonadonna, 122 E. Central Ave, 10977. (914) 356-1100. Stormville Airport Antique Show & Flea Market. Route 216. Open dawn to dusk. Approximately 600 dealers. Call for dates. Good market for all types merchandise and well attended market. NYS sales tax certificate required. 20x20 spaces from $60. Camping available on space. Reservations recommended. Food avail, restrooms, h/a. c/p Pat Carnahan. Box 85. 12582. (914) 221-6561. Saturday Flea Market. Maple Lane. Hours; 8am to 6pm. Outdoor flea market with approx 50 dealers. 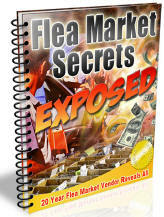 Great bargain prices on classic flea market merchandise. New and used goods including: electronics- TV's, stereos, videos, clothing, house wares, jewelry. Space from $18. Snack bar, restrooms. c/p John Mower, Box 556. 12498. (914) 679-6744.